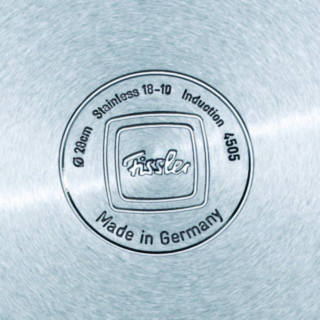 With Fissler's fiamma you demonstrate your personal style. 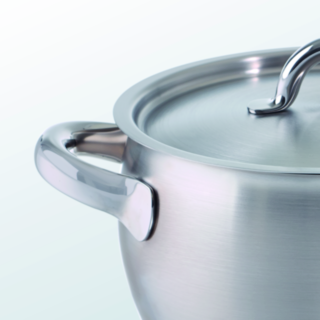 The graceful, convex pot bodies fascinate with satin-finished stainless steel.The encapsulated Super Thermic base heats the pot quickly and evenly, saving energy. Fiamma is suitable for all stoves, including induction. The ergonomically designed handles fit great in your hand and are made of high gloss polished 18/10 stainless steel. 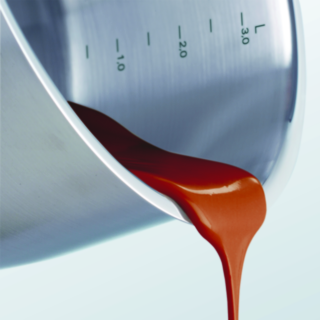 The practical pouring rim guarantees simple and safe pouring without dripping or spilling. fiamma is oven and dishwasher safe.